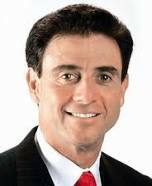 Rick Pitino is the only coach in NCAA history to win national championships with two colleges – Louisville in 2013 and Kentucky in 1996. His Louisville title came on the same day he was elected to the Basketball Hall of Fame. vision for the group’s future. just on major issues, but on the day-to-day matters, as well. to put your ideas and yourself on the line. through it quickly without panic. it, learning from the tough times. the present, long-term goals for the future.